New research from the American Association for Cancer Research has added melanoma — the deadliest form of skin cancer — to the list of cancers correlated to alcohol use. More specifically, consumption of white wine has been found to correlate with the occurrence of melanoma in white males and females. Melanoma joins colon, liver, breast, head, and neck cancers as those that have been linked to alcohol consumption. “The idea that alcohol influences cancer risks is not a new finding. It has been proven that about 3.6 percent of all cancers are influenced by alcohol usage,” explained Eric Millican, MD, a skin cancer specialist at the University of Utah. “However, the addition of melanoma to that list would be interesting." The American Association for Cancer Research used data collected over 18 years, which measured over 200,000 participants. The research showed each drink of white wine consumed per day was associated with a 13 percent increase in risk of melanoma. 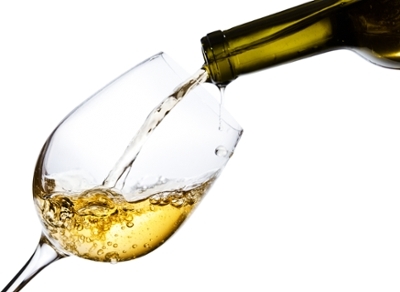 White wine was the only alcoholic beverage to find significant association between consumption and melanoma levels. This increased risk was most prevalent on parts of the body that received less sun exposure. Participants that consumed more than 20 grams of alcohol a day (12.8 grams was considered one drink) were only 2 percent more likely to have cancer on their face, hands and other sun exposed areas while they were 73 percent more likely to have melanomas of the trunk. Still, Millican cautioned that further work needs to be done to clarify how alcohol and melanoma might be linked and to determine if the association holds for non-white patients. "It is interesting that white wine was the only form of alcohol linked with an increased risk of melanoma," he said. "That suggests that any cause-effect relationship is more complex. It may also indicate that other, unmeasured factors - such as sun protection and tanning bed use - are the real drivers of melanoma risk, while white wine is just a marker for people who have higher UV exposure." The American Cancer Society recommends that women limit alcohol consumption to no more than one drink per day, and men no more than two as preventative measures for alcohol-related cancers. Further research is being planned to explore the clinical and biological significance of melanoma and alcohol consumption. Elizabeth Renda handles communications for the Department of Dermatology. Follow the department on Facebook @UofUDermatology.